If you follow debates about music, technology and how artists earn a living, you probably caught this post from David Lowery (Camper Van Beethoven; Cracker). Lowery’s lengthy missive was in response to a blog post by a 21 year-old NPR intern, Emily White, who talked about how she never really paid for music, but nonetheless has 11,000 songs in her iTunes library. This exchange of perspective has definitely touched a nerve in the artist community. We don’t want to get into a point-by-point breakdown of everything that does or doesn’t ring true about Lowery’s piece, nor do we care to cross-examine White about her choices. What we’ve learned over the past 12 years of being an organization at the front lines of these kinds of debates is that things can get really heated really quickly. And, while there’s certainly every reason to feel passionately about artist compensation (we sure do! ), emotional responses are typically not the best starting point for orienting us toward practical solutions. Again, you can read Emily White’s original post here; David Lowery’s response is here. For extra credit, check out musician and FMC Board member Erin McKeown’s observations here. To us, the real question raised by all of these pieces is, what can the musician and advocacy community do to improve current conditions? We have a few basic suggestions. NPR intern Emily White says, “what I want is one massive Spotify-like catalog of music that will sync to my phone and various home entertainment devices… all I require is the ability to listen to what I want, when I want and how I want it. Is that too much to ask?” Maybe not, but we’re not quite there yet. Which is why it it’s crucial for everyone to support the continued development of legal, licensed services that fairly compensate artists. This means structures that are transparent, pay musicians directly and reduce the number of middlemen between the consumer and the artist’s wallet. In fact, this is one reason why we do the work that we do: to arrive at a legitimate digital music marketplace where music can be easily and lawfully accessed and musicians can earn a living. As Erin McKeown points out, there are some issues that require greater policymaker awareness about the challenges facing the music community. We want to ensure that musicians are part of this process. Because if they’re not, policymakers will surely get it wrong. This is another reason why we do the work we do. We also think musicians can take the lead in helping fans understand that their decisions affect artists. We aren’t trying to be proscriptive here, but it’s pretty clear to us that, if you like a piece of music, you should support the artist who created or performed it. So we’re excited any time artists work to educate consumers about the impact of the choices they make. At the same time, we can’t move the ball forward by looking backward to “the good old days.” We need to make it easier for fans to do the right thing, and consistently encourage them to do it. There are a lot of unresolved questions about how to best structure tomorrow’s industry so that artists can thrive. Part of that goal must include a commitment to helping fans understand how to make choices that support musicians. This is something we can all pull together on, even if there are debates about how the music business should ultimately operate. Now that you’ve read all of these blog posts (you have, right? ), we are curious about what YOU think. Tell us in the comments below. Submitted by JoeMiller (not verified) on June 19, 2012 - 2:22pm. I think that David nailed this one. Too often people (or organizations) try to coddle the "consumer" by agreeing that they are entitled to dream of perfect and that the industry should bend to their whim. Nothing is that simple. When Emily outlines what she wants (instant access to ALL MUSIC, on every device, for her immediate pleasure) she fails to mention how much she's willing to pay for this. It almost seems that she wants it for free and that's the big problem. Emily could have exactly what she wants RIGHT NOW... if she paid for it. She can buy a server, and complete catalogs of music, and hire an IT specialist to make her dream of convenience a reality.... but none of this is free AND it shouldn't be. The problem is that the "Free Content" generation doesn't understand the need or benefits of paying for content creation. David's response is the type of commentary and education needed to illustrate the failure of "free content" thinking. Submitted by Adrian Ridley (not verified) on June 24, 2012 - 4:14pm. I respect all points because they all have merit. However, I lean more towards Emily because she is a active member of the "free content" thinking that's shared in some form by everyone. She understands the world as it runs today. Free content is the new model, which 50 Cent created with his mix-tape series. Understanding that this new model is "IT" and you have to give the consumer more value because they will get the music anyway... and you cant stop it. SO going forward we have to adapt to the model.We have to do as Emily says, “what I want is one massive Spotify-like catalog of music that will sync to my phone and various home entertainment devices… all I require is the ability to listen to what I want, when I want and how I want it. All she is asking for is the ability to "Listen", not burn for sale just listen. That's not hard to do because that's the norm. What "we" lack is the 100% open catalog for easy listening. This is done by controlled streaming/coded/tracked by digital imbedding/last 4/ tagged sessions. If you do anything outside of the guidelines you pay a fine. The musicians have to be more accessible to the fans, more real interaction and let the fans see the Musician giving back to the community who supports him/her. It should be unspoken, but always needs to be done. The consumer doesn't want to see their hard earned money go to support a artisit who doesn't give back time and money. Consumers will be more willing to pay for music and merchandise if the relationship was more personal.Consumers will buy the CD instead of burning it out of respect because they met "the artist" at a benefit function for kids or a cause they support.They also met his/her mom and now the relationship has been enhanced. Changing the relationship and connecting more as "just like me" instead of "Rich Artist" and "broke fan" relationship. A organic relationship like this will lead to both sides being happy. I welcome more discussion. I do have a plan and I am willing to discuss it with the group. Submitted by Tom Jeffries (not verified) on July 1, 2012 - 3:24pm. As you may be aware, over the last 30 years the music industry has gone through some major changes. Many years ago I made my living as an orchestral trumpet player, and most of the revenues going to artists came from either sale of vinyl records or from performances. Today, because music is distributed in digital format, revenues from selling recordings have fallen drastically. 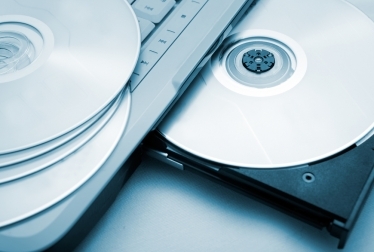 It has become very easy for people to make copies and share copies of recordings rather than buying them. The record industry has tried every move they could think of, including ones that limit the free exchange of information on the internet, without success. About 5 years ago I got involved with some people who were doing experiments with using file sharing on the peer to peer networks (mostly using BitTorrent) as a way to boost revenues for artists. The experiments were successful, but the record industry was pushing so hard to stop file sharing that the public was not aware of what was going on. There was one problem with most of the experiments- the person who downloaded the file, if they liked it, had to find the artist on the internet before they could interact with the artist. One of my companies, Safe-Xchange, decided there is a better way, and built an app that runs on Windows and Mac that has not just the music and the videos, but links that allow downloaders to buy the music, provide an email address, do social networking, sell event tickets and all the other things that are normally done on a website. The artist gets a very direct way to connect with people who like their music. Our app gives artists a way to add the 200 million people who share files every month to their fans. We put the app on the P2P networks, encourage your artists to download so that there are plenty of seeds for the app, and do everything we can to promote lots of downloads. We have seen this work well with numerous artists. Depending on the size of the artist's audience we either put together a custom app for the artist or we put several artists together in an app that will draw more attention and downloads. It can be very effective to take artists that work in related genres and put them together so that fans get more than they expect. We can also detect the location where a file is being played so that we can present information on artists and performances in their area. We can even ask the listener to enter a location they are interested in and present music for that location. At this stage we need to make some changes to our app. The original app was built using Flash. Apple has thrown a monkey wrench into using Flash on Apple devices, and, even more important, we want it to run on mobile devices. We are starting a crowd funding effort, and artists who help with that get the app for free in addition to having everything their fans contribute count against our fees from running the app. We'll make that easy too, I'm preparing information on how it will work. There's lots more information on our site, including links to other efforts to use the P2P networks to boost revenue and videos showing how our apps work. I don't play professionally any more, but I have an enduring passion for making sure good music gets created. That only happens when people get paid for creating good music.